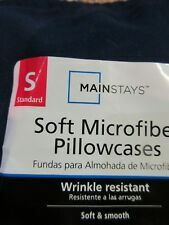 Mainstays Travel Pillow Ideal for travel on aeroplanes, cars or trains. Machine washable. Durable and comfortable. If you are a side sleeper, and are looking for a firm pillow that provides optimum comfort, then go for these Extra-Firm Pillows. Sleep comfortably all night long with these hypoallergenic pillows that are filled with polyester. Mainstays Twill Accent Pillow. Spot clean only. 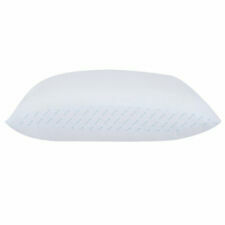 Mainstays Microfiber Twill Pillow Material: Microfiber. 17' pillow. Knife edge. Recycled fiber fill. Super soft. These Mainstays Firm Pillows provide maximum loft and support through superside construction. Designed to help you get a great sleep, they are firm yet comfortable. Each set of 2 fiberfill pillows features 200-thread count cotton fabric. This Mainstays Extra Firm 100% polyester pillow is designed to help you get a better night's sleep by providing you the support if you are one of those who sleep on their back or sides. The dacron fiberfill used in this pillow makes it durable and comfortable. 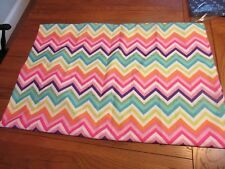 Zipper on 20" edge. Item model number: 並行輸入品. Machine washable. 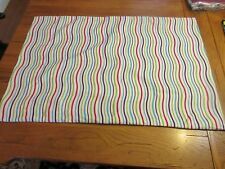 Mainstays Standard Microfiber Pillow Set of 2 6994 Standard Size 20" x 26"
They can be machine washed and are easy to clean. · Standard size (20" x 26"). 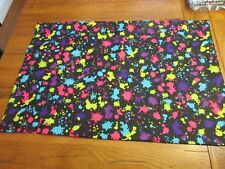 · 100% Polyester shell. 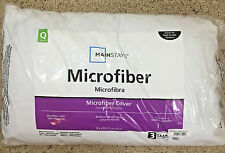 4.5 out of 5 stars - Mainstays Standard Microfiber Pillow Set of 2 6994 Standard Size 20" x 26"
15 product ratings15 product ratings - Mainstays Standard Microfiber Pillow Set of 2 6994 Standard Size 20" x 26"
Improve your overnight quality of sleep with this Pair of Mainstays Microfiber Pillow. 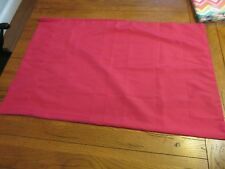 It includes two, 100 percent polyester microfiber pillows with 100 percent polyester fiber fill. This hypoallergenic Mainstays pillow is very comfortable. It is filled with hypoallergenic polyester fiber for firm support. This hypoallergenic polyester filled pillow is highly durable and provide softness and comfortable support for back and stomach sleepers alike. 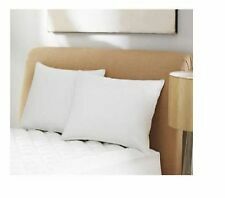 Add the finishing touch to your bed with this Mainstays Firm 100 Percent Polyester Pillow, Set of 2 in standard size. They are designed to help you get a better night\'s sleep. The style of this back sleeper pillow is also well suited for those who rest on their sides. When you are looking for the perfect size pillow to travel with, this is the pillow you need. Mainstays 100% Polyester Travel Pillow is available in 14'x20'. This travel pillow is 100% polyester cover and is filled with 100% polyester fiberfill.